The formation of fine powder on the surface of the paint, due to weathering. All paints chalk to some degree; it is a normal, desirable way for the paint film to wear. Quality paints may chalk mildly, but still maintain a sound surface for many years. Medium and heavy chalking can cause color fading. Severe chalking makes repainting a problem because it does not provide a good surface to which new paint can adhere. Determine the degree of chalking by rubbing the surface with a finger or dark cloth. Excessive chalking requires pressure-washing or sand-blasting. If a pressure washer is not available, scrub the surface with a stiff brush and a mild detergent. Rinse thoroughly with a strong stream of water from a garden hose. Light to moderately chalked surfaces may require wire-brushing or sanding to remove the excess surface powder. Spray the surface with a strong stream from a garden hose. Check the surface again using your finger or a rag to determine the amount of chalk residue. 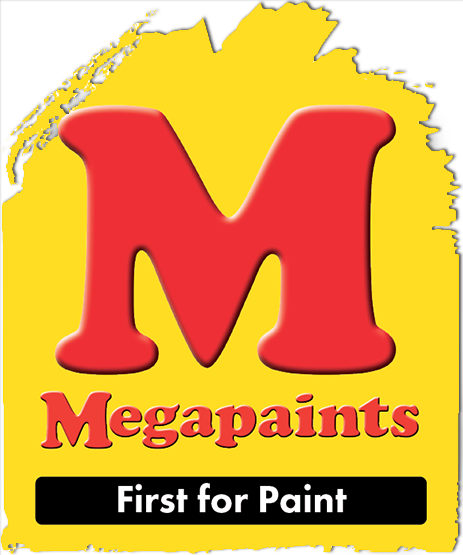 If little or no chalk remains and the old paint is in good condition, no priming is necessary. 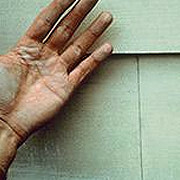 If light to moderate chalk remains, use a penetrating additive to the first coat of water-based paint to help the paint film bond to the chalked surface. 100% acrylic finishes provide better chalk resistance than vinyl-acrylic paints. If noticeable chalk still remains, use an alkyd-based masonry primer as the first coat of paint. Finish using a high-quality topcoat.